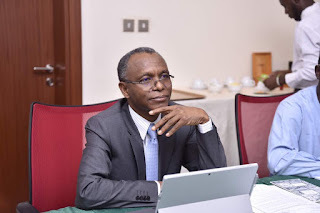 Governor Nasiru Ahmed El-Rufai has assured that his administration will take legal action against individuals and institutions that announced false results in the just concluded local government election in the state. He expressed delight with the people of Kaduna State for the peaceful and orderly conduct of the May 12 local government election. In a statement the governor issued on the aftermath of the local government election, he observed that though issues arose in a few places, the people deserve gratitude for the maturity with which they participated in enthroning democratic rule at the local government. “It is my privilege today to thank the people of Kaduna State for the peaceful and orderly conduct of the local government elections across the state. Although issues arose in a few places, the people deserve our gratitude for the maturity with which they participated in enthroning Democratic rule at the local level. “At considerable cost, the Kaduna State government invested in Electronic Voting Machines to promote electoral integrity and transparency. It appeared the logical next step following the game-changing introduction of the smart card reader by INEC for the 2015 elections. But these costs are actually savings since the machines can be used for several elections, while avoiding the cost of printing secure ballot papers. “Despite apprehension by some political experts, we never doubted that our people will embrace electronic voting. Voters have acknowledged the successful operation of the Electronic Voting Machine, with its user-friendly interface and quick voting process. “On 12 May 2018, the people of Kaduna State heralded a new chapter in elections in Nigeria, using electronic voting, and a government that was determined to respect the outcome. “The people of Kaduna State can congratulate themselves that they have, in practice, conclusively made the argument for the country as a whole to fully automate the voting process. Following the successful performance of the machines, Kaduna State is prepared to make its Electronic Voting Machines available to any state government that wishes to embrace electronic voting, on terms to be agreed. “These local government elections have demonstrated that the APC government of Kaduna State, which you mandated us to lead in 2015, stands resolutely for free and fair elections. We have placed the credibility and integrity of the electoral process above the discredited practice of previous governments that sought to win every contested seat, and by all means. “Almost three years after we took office, we faced local elections with absolute commitment to fairness, and a willingness to accept the outcome. “We accepted the challenge to put our record of service after almost three years in office to the test. In fact, the local government elections were construed as a referendum on the performance of our government. Tales were being told by an entitled, but frustrated, elite that our people would punish us at the polls for taking consequential decisions in favour of ordinary people. The people have spoken, and their views resoundingly denounce the selfish claims of political merchants,” El-Rufai explained. As governor, he said, “The man on whose table the buck stops, I, along with our Deputy Governor, gladly led our team to campaign in all the senatorial districts and local governments of the state. “During our campaigns, we showcased how we were making life better in each ward and local government, complete with a list of projects we have initiated in our quest to promote equality of opportunity. “We thank our people for demonstrating with their votes that they recognise our efforts to empower them, to educate their children properly, to secure better healthcare for them and to return their priorities to the heart of government. “Our party has won a great victory. We salute those who voted for us. We did not win every local government, although we campaigned hard to do well everywhere. And having worked hard to make our case to the people, we respect the views of those who chose differently! “We have restored democracy at the local level. We have reformed the local government system, enabling them to deliver services at the grassroots and for the bankrupt ones to move to solvency. “And we hope that the newly elected officials will run these councils in an inspiring, new way. The elected chairmen and councillors, of any party, assume a sacred obligation to deliver for the people, to move closer to realising the goal for which they were established. “Democratic governance at the local level must have a substantive, real impact in the lives of people.